As Uber continues to expand its carpooling service and make forays abroad, CEO Travis Kalanick believes the next natural step for his company–albeit an ambitious, far-off one–is to make its cars autonomous. Fast Company‘s new cover story reports that each shared self-driving car could supplant up to 10 regular cars–and in a city with public transportation, introducing driverless cars could cut the number of vehicles on the road by 65% during peak hours. That’s just the start of the company’s efforts to reinvent public transportation. Earlier this year, Uber reportedly poached dozens of members of the Carnegie Mellon University robotics department for a driverless-car initiative that could one day make its services much cheaper and more efficient. In the near term though, the move represented a significant expense. Uber doubled researchers’ salaries and offered six-figure bonuses to the defectors. 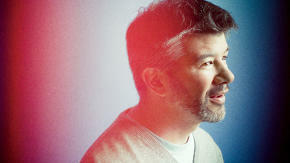 It also antagonized some drivers, whom Kalanick has gone to great lengths to court with promises of flexible, dependable work. In addition to recruiting scientists from CMU, Uber recently entered a partnership with the University of Arizona, to further its research into optics technology for self-driving cars.